My favourite artistic period is the Impressionist movement. I adore Renoir and Monet, Pissarro and Cezanne. I’ve experimented over the years with creating impressionist images in my photography. Impressionist photography is quite broad; some people simply blur images or take photographs of bokeh. I think it’s important to still anchor the viewer in the landscape, having an awareness of place, which means the picture isn’t just mistaken for camera shake. Creating a natural brush stroke effect is done by either shooting long exposures of water, moving the camera or unfocussing the camera. I prefer to achieve this effect by long exposures and shooting through objects such as water or glass. A long exposure of water is one of the best ways to create an impressionist effect, particularly when the water is moving very slowly. Although ponds may not look like they’re moving, they can give an entirely different impression when shot with a long exposure. “Monet – Seerosen” by Claude Monet – repro from art book. Licensed under Public domain via Wikimedia Commons. Moving the tripod horizontally or vertically while exposing can also create the impression of lines. Although shot on a standard daytime exposure, the reflection of objects in moving water creates a painterly effect, such as this photograph of the Avignon river. By flipping the photograph upside down, the eye is tricked into believing that the trees have been painted. 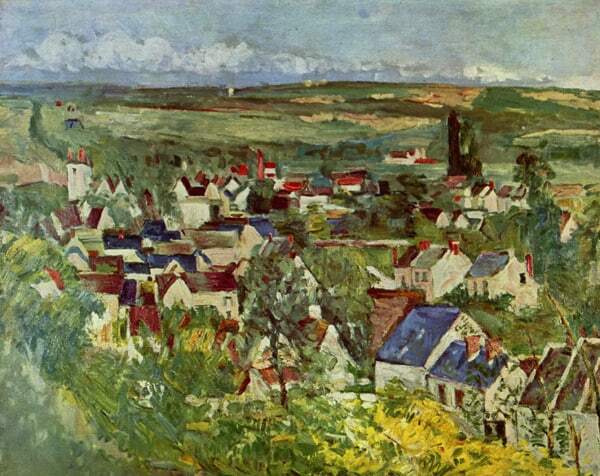 “Paul Cézanne 001” by Paul Cézanne – . Licensed under Public domain via Wikimedia Commons. Shooting through dirty or warped glass can also create an impressionist effect, like this photo from Carcassonne. “Paul Cézanne 019” by Paul Cézanne – The Yorck Project: 10.000 Meisterwerke der Malerei. DVD-ROM, 2002. ISBN 3936122202. Distributed by DIRECTMEDIA Publishing GmbH.. Licensed under Public domain via Wikimedia Commons. Apart from the use of impressionistic brush strokes, the Impressionists loved painting with beautiful light. View any of Monet’s haystack images in a darkened gallery and you’ll see the vibrance, the almost fluorescent aspects of the paintings. Take this photograph from Montecatini Alto, where the late afternoon light created a haze over the valley. It reminded me of one of Cezanne’s paintings, the similar colours and structure in the landscape. “Paul Cézanne 107” by Paul Cézanne – . Licensed under Public domain via Wikimedia Commons. It’s also about the subject matter; while the following photograph doesn’t exhibit any of the brush strokes common to impressionist photography, the subject matter and colour palette do. It was taken in Northern Italy, a day after crossing the border into France. “Paul Cézanne 215” by Paul Cézanne – The Yorck Project: 10.000 Meisterwerke der Malerei. DVD-ROM, 2002. ISBN 3936122202. Distributed by DIRECTMEDIA Publishing GmbH.. Licensed under Public domain via Wikimedia Commons. The impressionist movement started in France, so obviously many of the locations and colours are typical to the southern part of France, Provence and Northern Italy. There are also many paintings of Venice, a popular spot with Monet, Renoir and Manet. “Claude Monet 039” by Claude Monet – The Yorck Project: 10.000 Meisterwerke der Malerei. DVD-ROM, 2002. ISBN 3936122202. Distributed by DIRECTMEDIA Publishing GmbH.. Licensed under Public domain via Wikimedia Commons. The Impressionists didn’t just paint landscapes either; people, still life and buildings were also common inspirations. While the Impressionists painted all year round, their best landscape paintings capture the spring and summer seasons, with Cezanne’s arid greens and yellows and Monet’s pinks and greens of his own gardens. 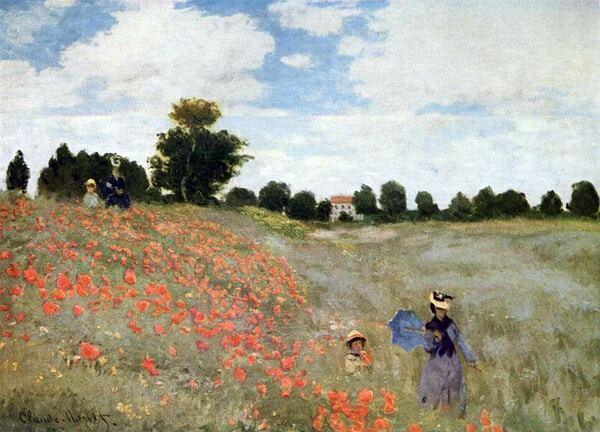 Flowers like poppies, sunflowers, water lilies, irises and tulips brought colour to their paintings. I hope this post has inspired you to experiment with your photography and try some new artistic techniques. If you’ve enjoyed the post or have a great tip of your own, please leave a comment. Beautiful shots, Kat! Great tips. I especially like the photo through glass. Very inspiring. Love the choice of artwork and photos. Took us back to our recent trip to France! Your tastes in art are similar to ours. Your water photos reminded me of many great pictures. Have you seen the Tiffani Buteau’s resin impressionist “Koi Pond at Midday Sun”? BTW, I’m not associated with her/website/galleries/et al., nor do I benefit from making the mention (except of making a good suggestion if you like impressionist work, even if it isn’t from your favorite artists). I love you pictures here. I’ve signed up for the updates, and saw some wonderful photographs.